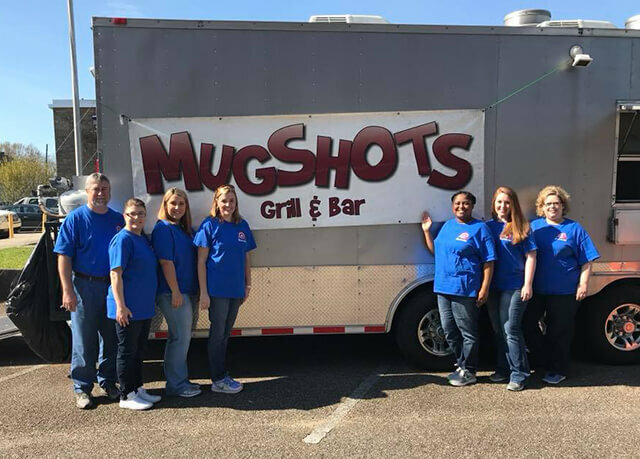 FSB in Ellisville hosted a Mugshots hamburger fundraiser for Jones County Relay for Life. 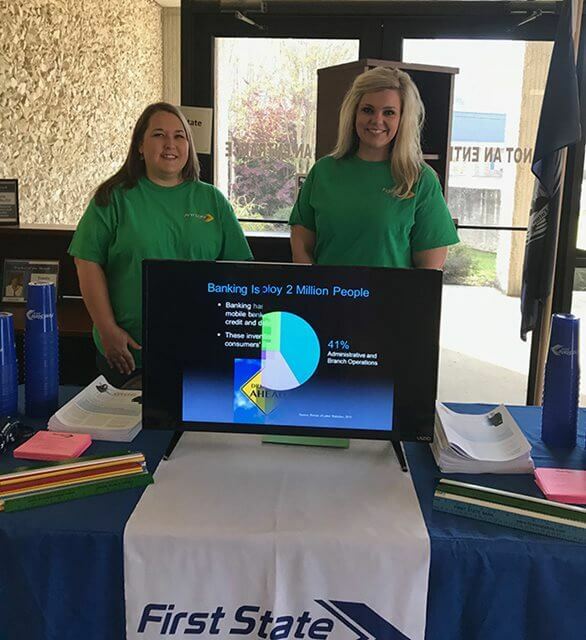 Heather Owen and Amy Davis represented First State Bank at the Wayne County Career & Technical Center's Career Day. 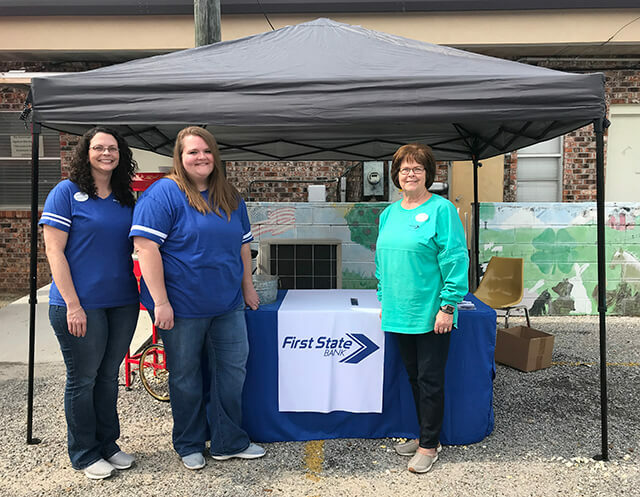 Hayley Stewart, Shannon Phillips, Glenda Burke and Brooke McCarty handed out popcorn and specialty items at the Wayne County Extension Office’s “Trucks-N-Such” event on March 12. 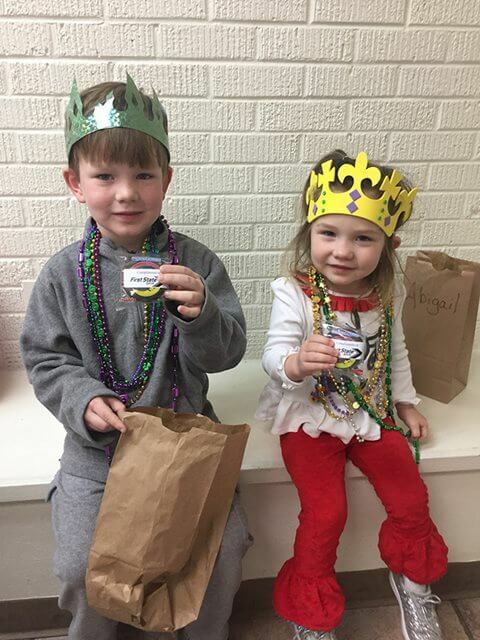 First State Bank donated moon pies to the First Baptist Church Early Learning Center for their Mardi Gras celebration held on Fat Tuesday. 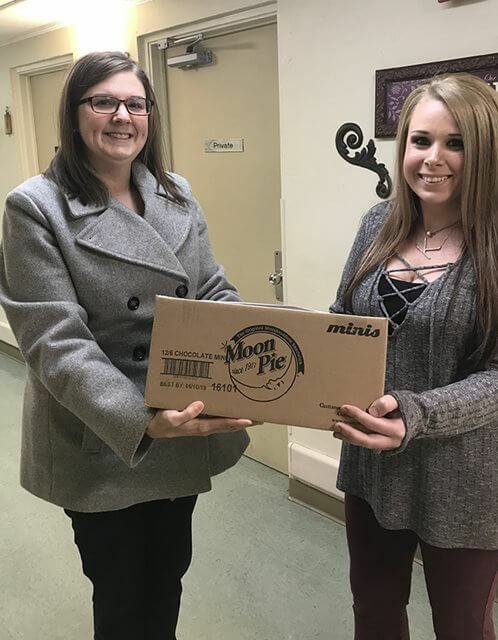 First State Bank donated moon pies to Pine View Heath and Rehabilitation Center for their Annual Mardi Gras celebration. 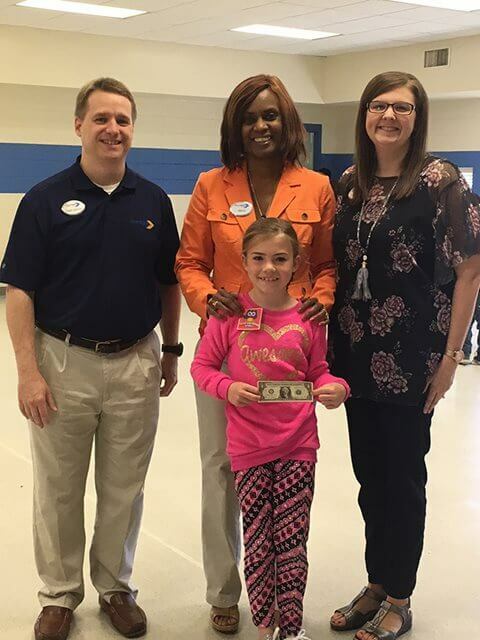 Emily Cooley spoke about saving to second graders at Buckatunna Elementary School. 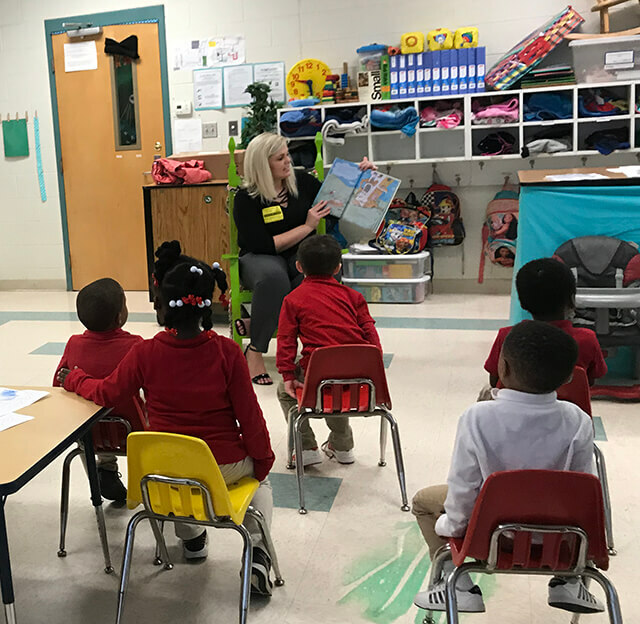 Heather Owen read a book to a class at Wayne Central School for National Read Across America Day. 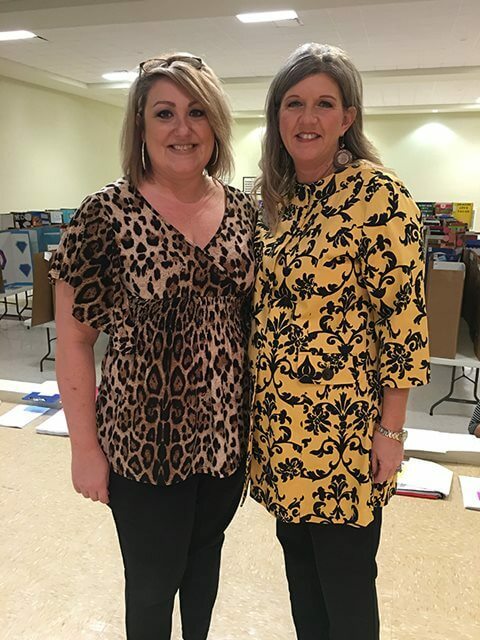 Stephanie Beard and Terri Brown volunteered as judges at the Clara School Reading Fair. 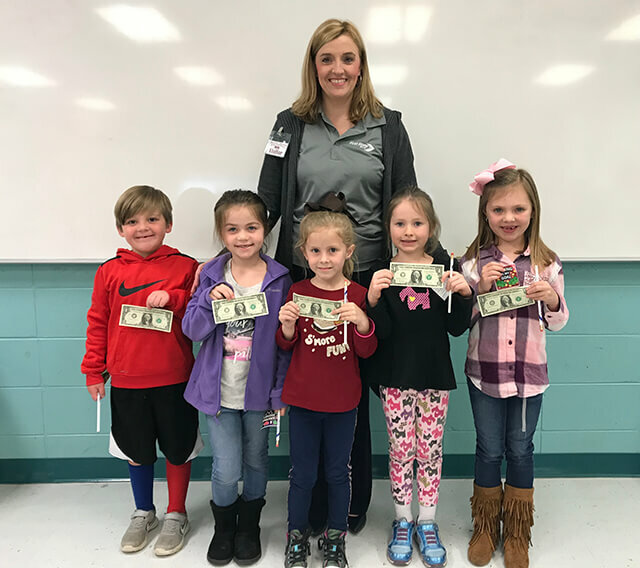 Buckatunna's 1st grade students stopped by the Main Office for a lesson on saving. 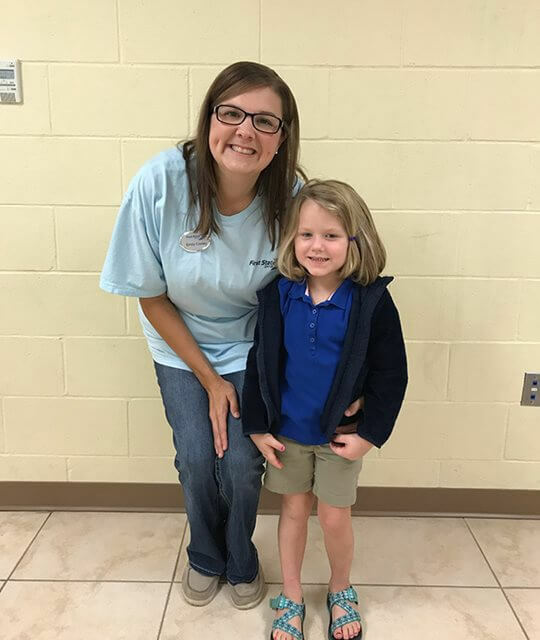 Emily Cooley spoke to the preschool students at Buckatunna Elementary about bankers being Community Helpers. 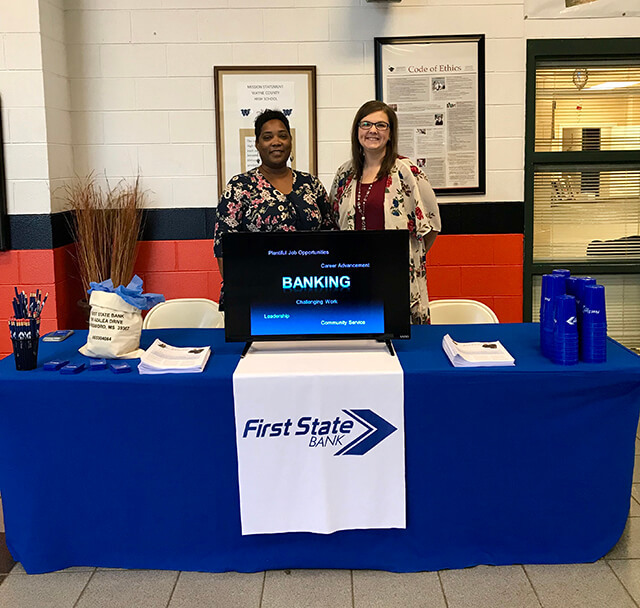 Sha Loper and Emily Cooley represented FSB at the Wayne County High School College and Career Fair. 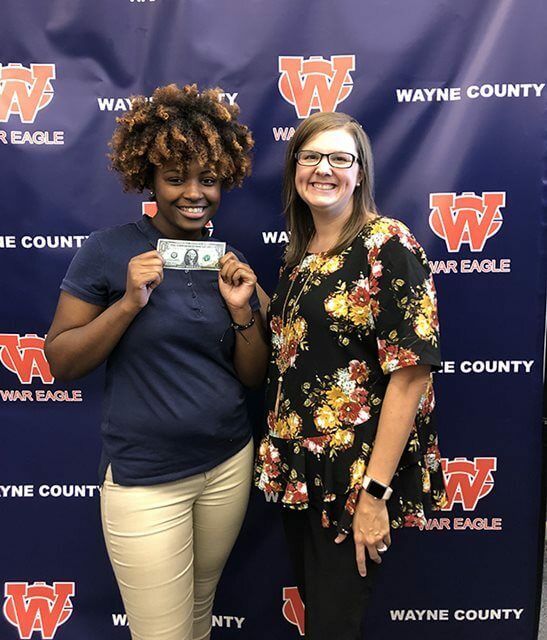 Emily Cooley spoke to two classes of seniors at Wayne County High School as part of the ABA's "Get Smart About Credit" campaign. 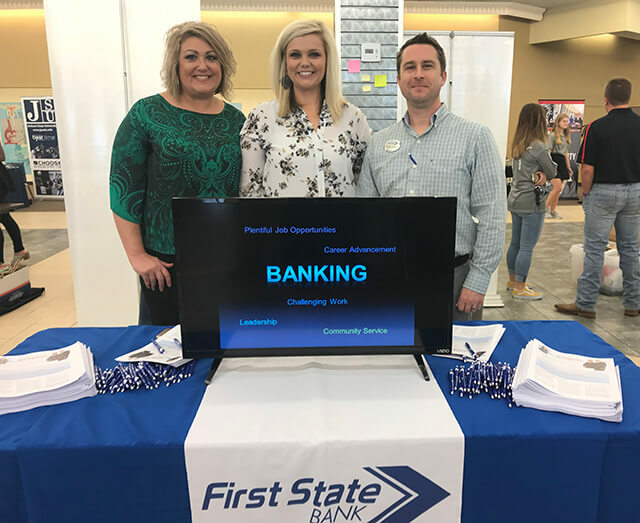 Stephanie Beard, Heather Owen, Sid Wilkinson and Craig Espey represented FSB at the Lauderdale County Career Fair held at Meridian Community College. 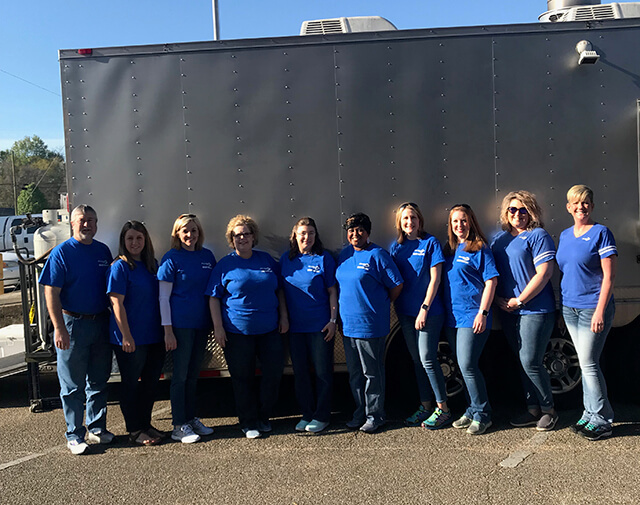 Laurel employees participated in the 2018 Jones County Heart Walk. 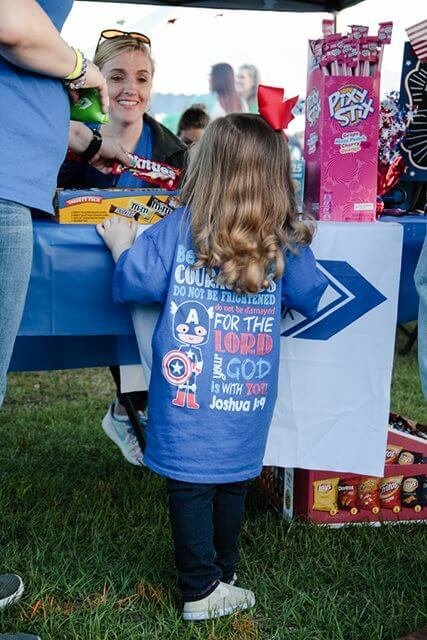 Prior to the event, they raised money by having bake sales. 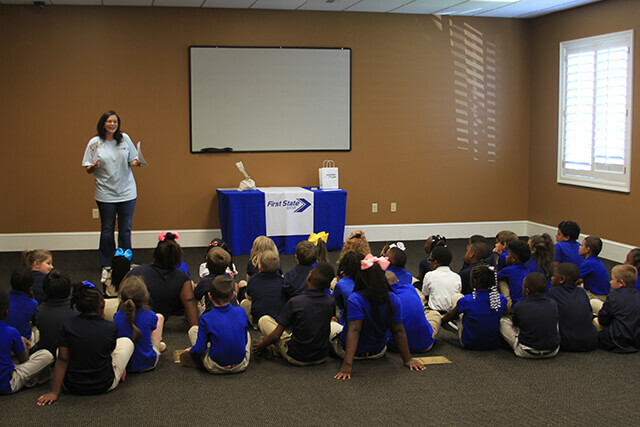 Clara Elementary School first grade classes visited the bank to learn about saving. 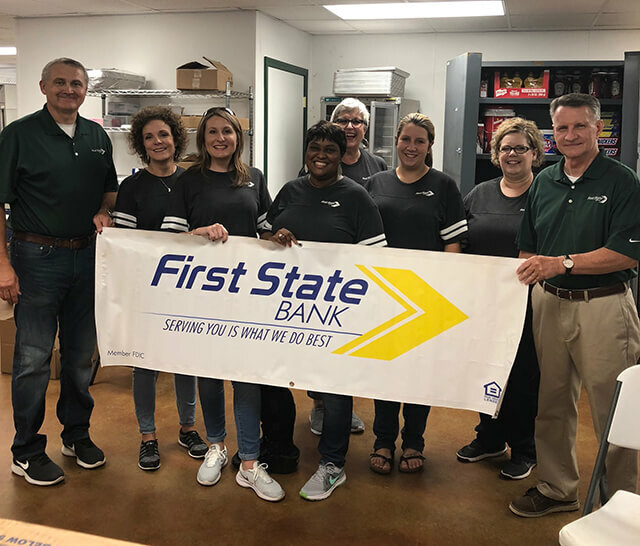 Employees from Laurel and Ellisville volunteered to work in the South Jones High School concession stand at a football game. 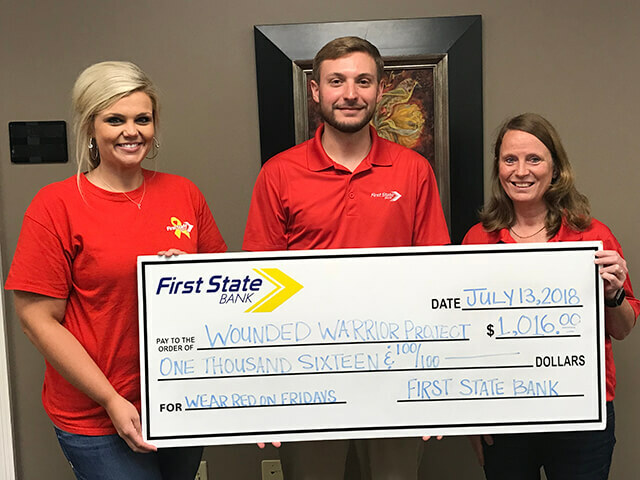 FSB employees purchased red t-shirts to wear on Fridays during June, July and August in support of local troops deployed. 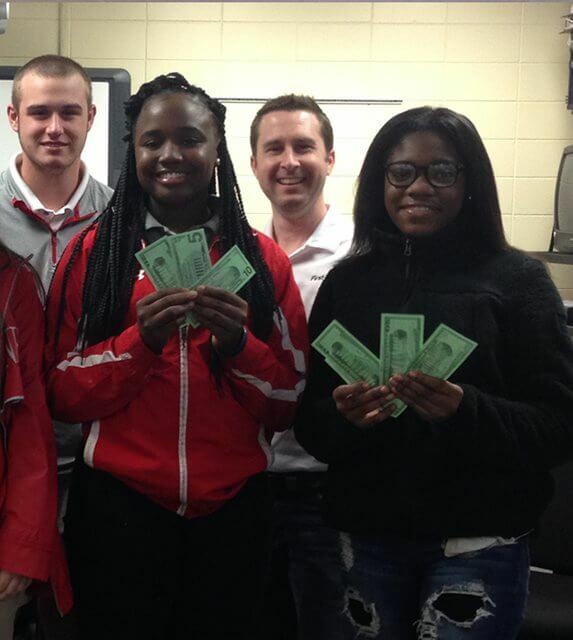 All net funds raised were donated to the Wounded Warrior Project. 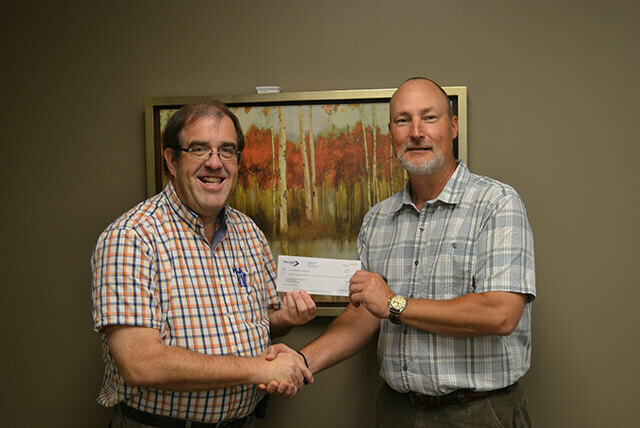 FSB made a donation to the Wayne County Sportsplex. 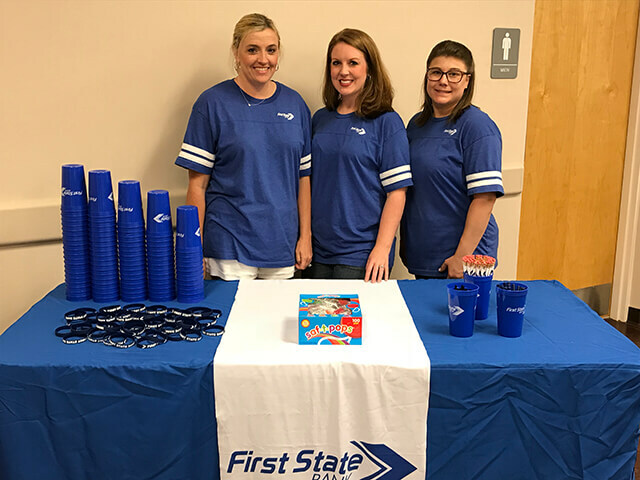 FSB sponsored June's Downtown Ellisville Movie Night. 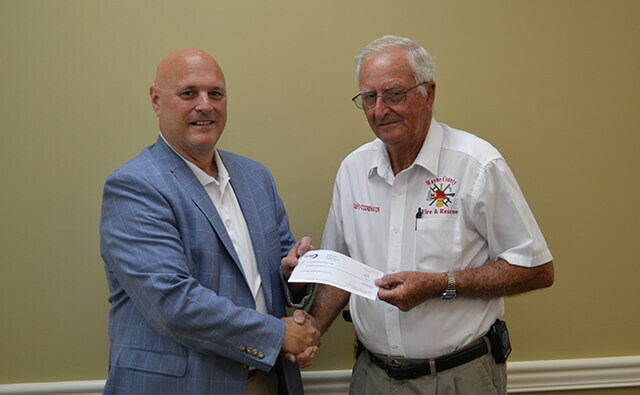 FSB made a donation to the Wayne County Volunteer Fire Department. 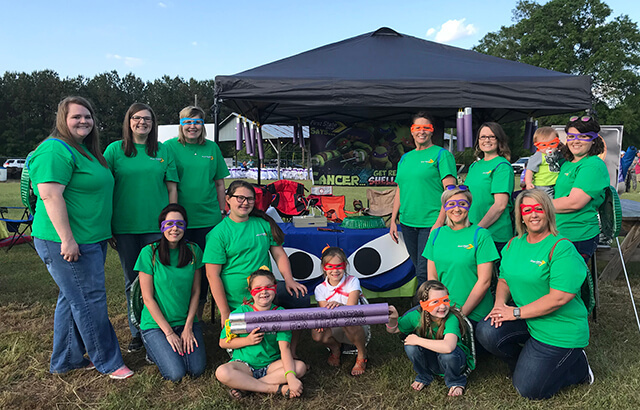 FSB participated in Wayne County Relay for Life. 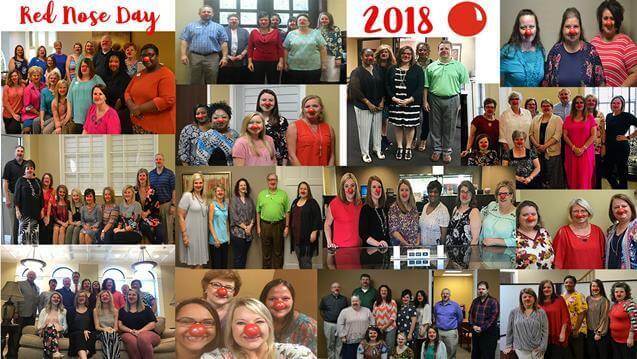 FSB participated in Red Nose Day to help raise money to end child poverty. 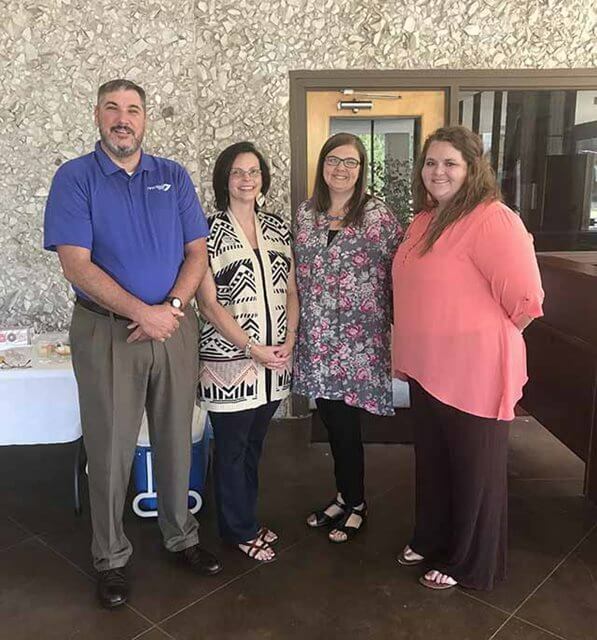 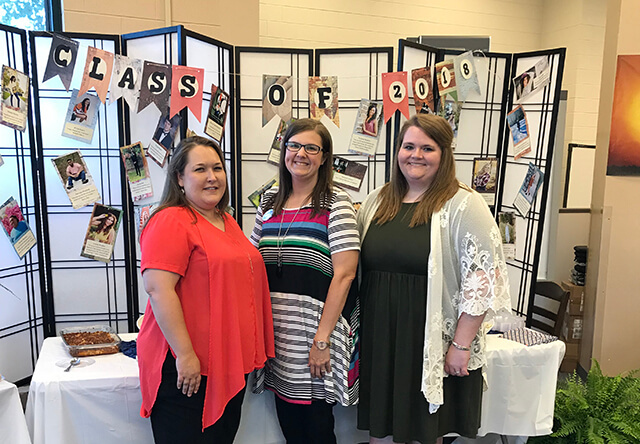 First State Bank hosted a reception for school board members and other dignitaries before the Wayne County High School Graduation. 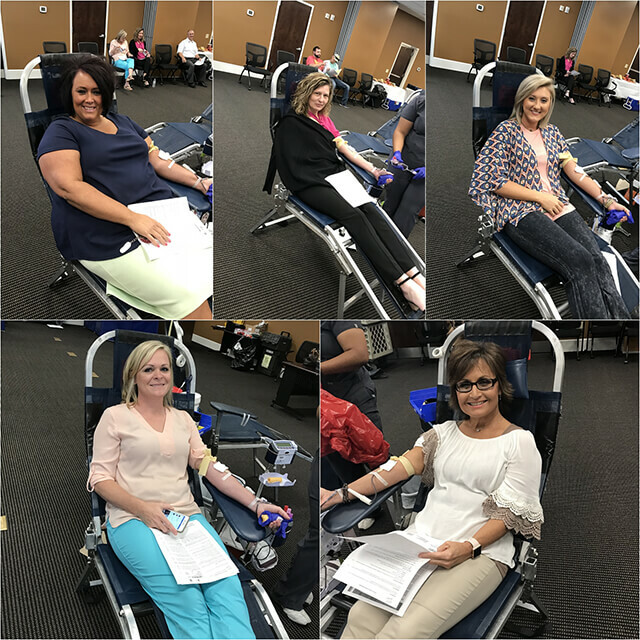 FSB hosted a blood drive in May. 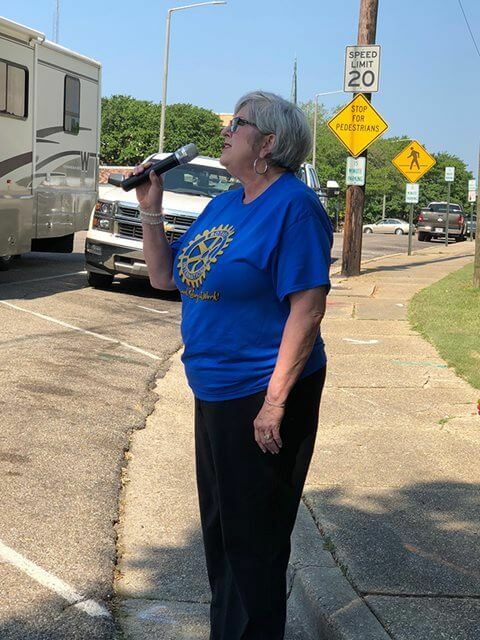 Laurel employee, Elaine Hill, sang the National Anthem at the Magnolia Street Derby. 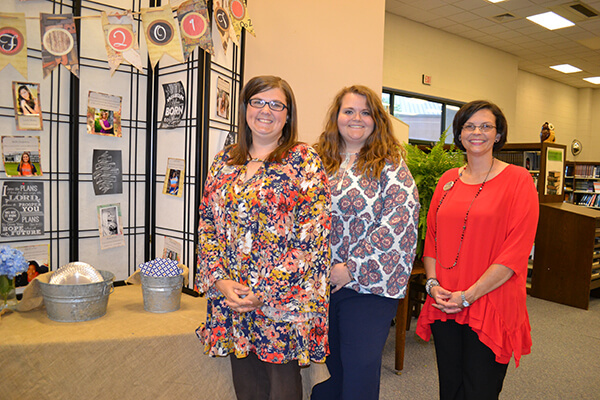 FSB participated in Clarke County Standing Together Against Cancer. 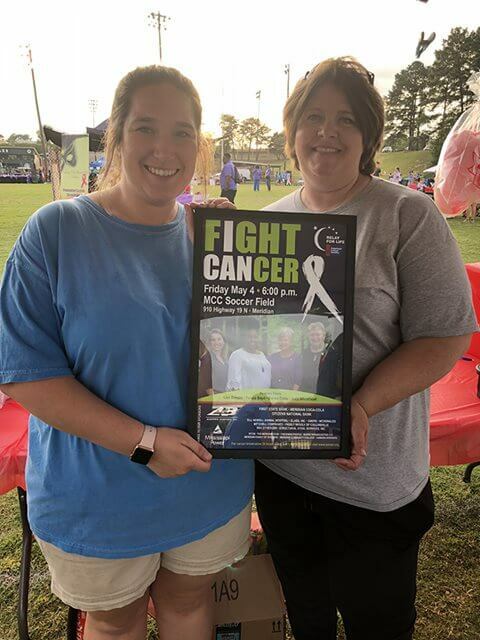 FSB participated in Lauderdale County Relay for Life. 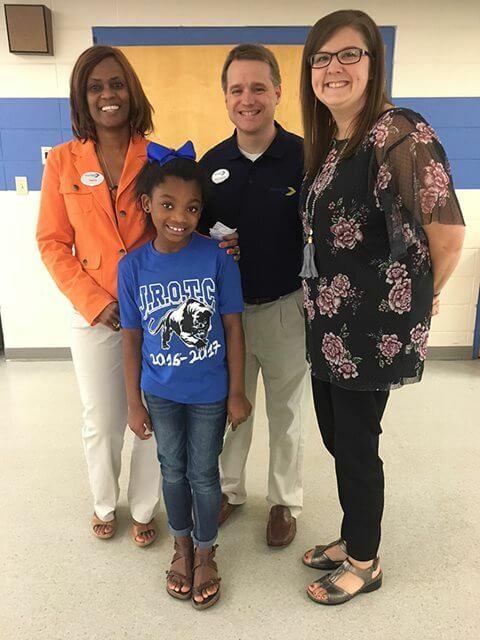 Frank Jadzinski, Nancy Chandler and Emily Cooley spoke about saving to 2nd graders at Quitman Elementary School as part of the ABA's Teach Children to Save campaign. 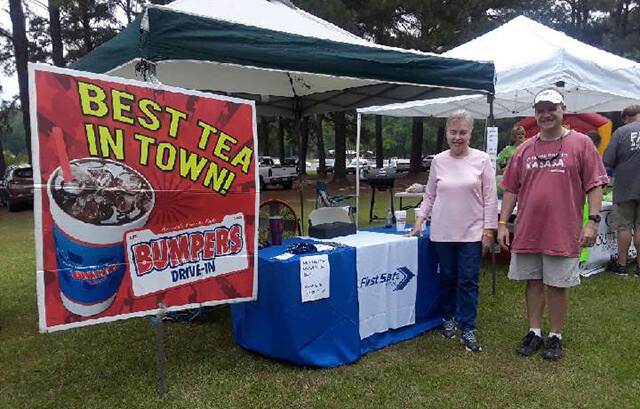 FSB participated in Jones County Relay for Life. 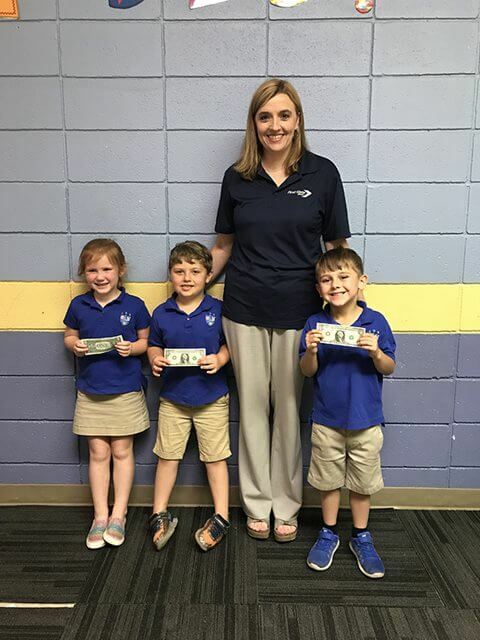 Laura Rigdon spoke about saving to kindergarten students at Laurel Christian School as part of the American Bankers Association’s "Teach Children to Save" campaign. 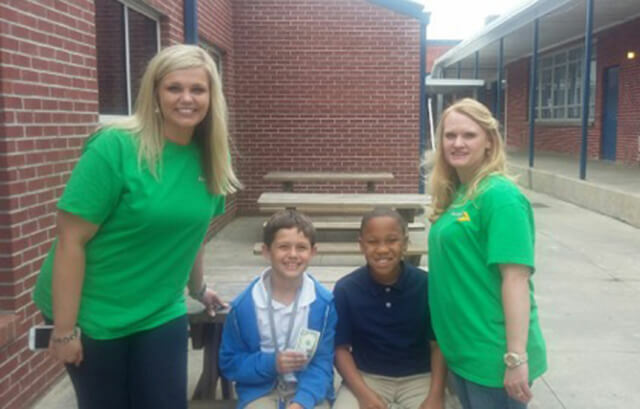 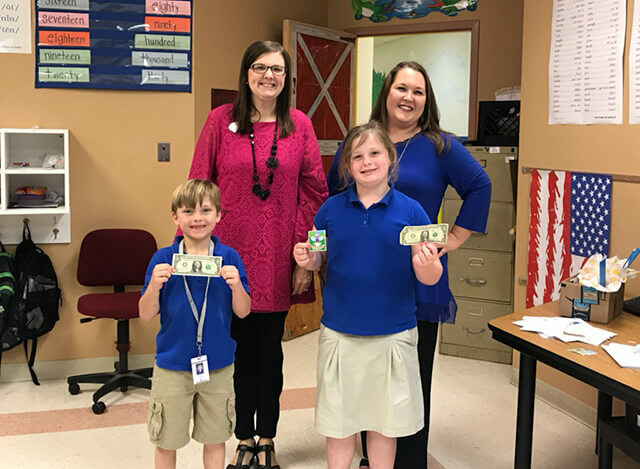 Heather Owen and Candy Pitts spoke about saving to third grade students at Buckatunna Elementary School as part of the American Bankers Association’s "Teach Children to Save" campaign. 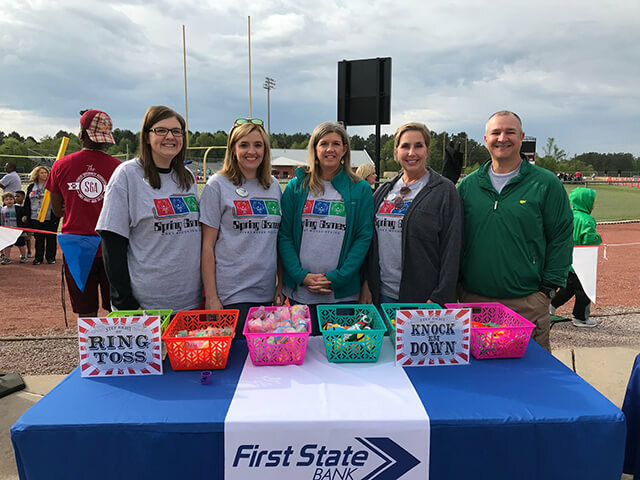 FSB employees volunteered at the Piney Woods Region Special Olympics Spring Games. 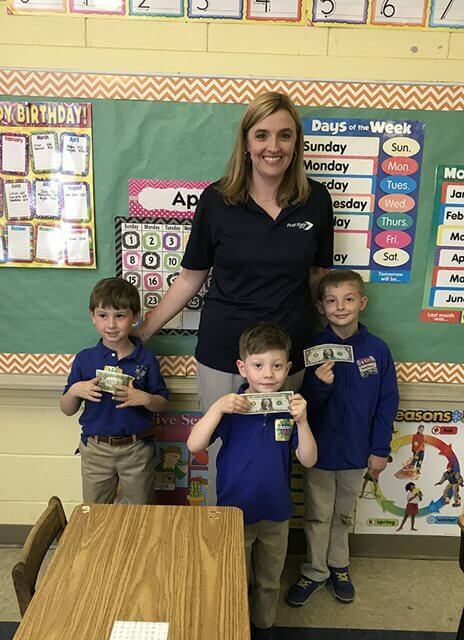 Emily Cooley and Amy Davis spoke about saving to second graders at Buckatunna Elementary School as part of the American Bankers Association’s "Teach Children to Save" campaign. 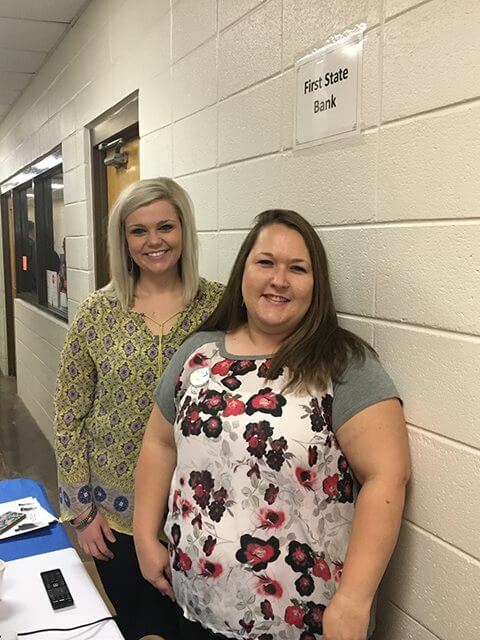 Amy Davis and Heather Owen represented FSB at the Wayne County Career and Technical Education Center’s Career Fair. 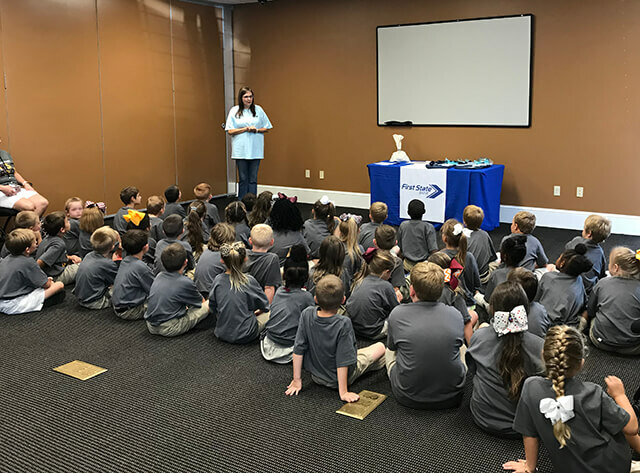 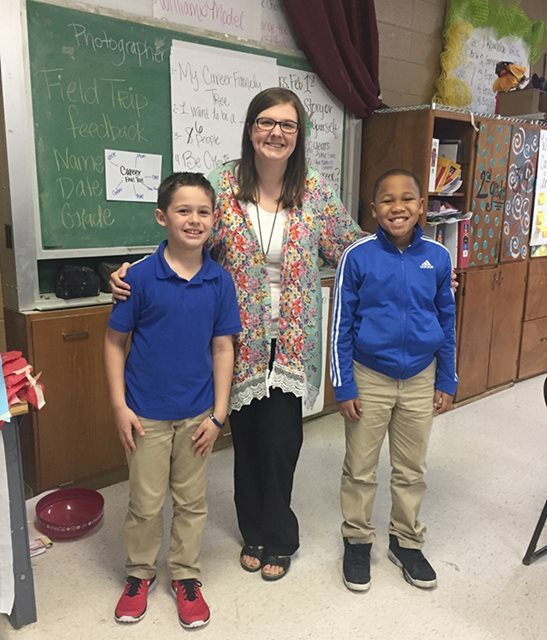 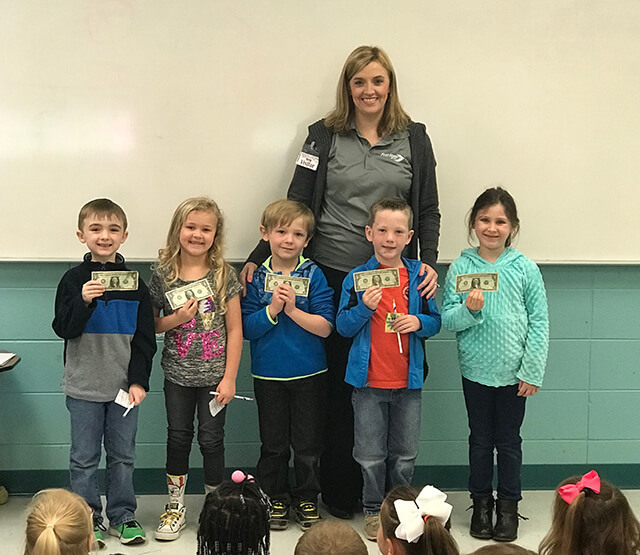 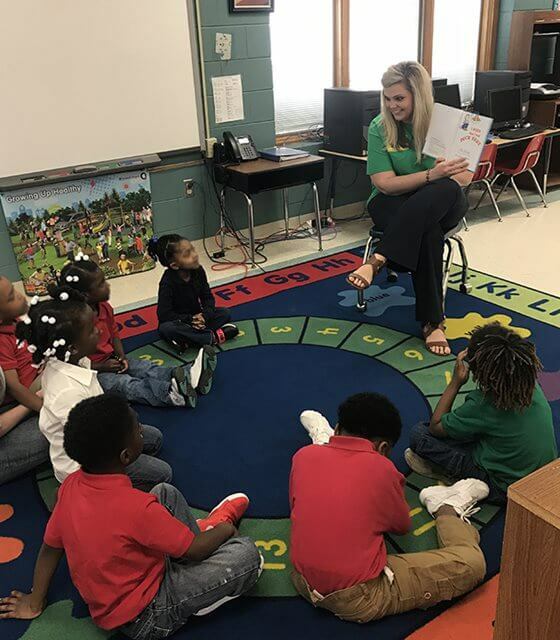 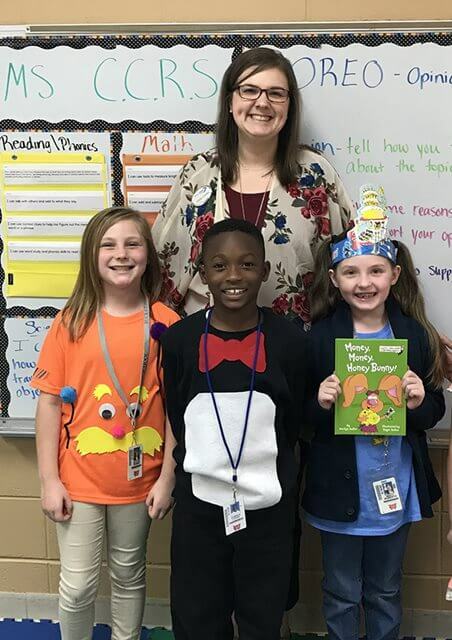 Laura Rigdon spoke about saving to 158 kindergarten students at South Jones as part of the American Bankers Association’s "Teach Children to Save" campaign. 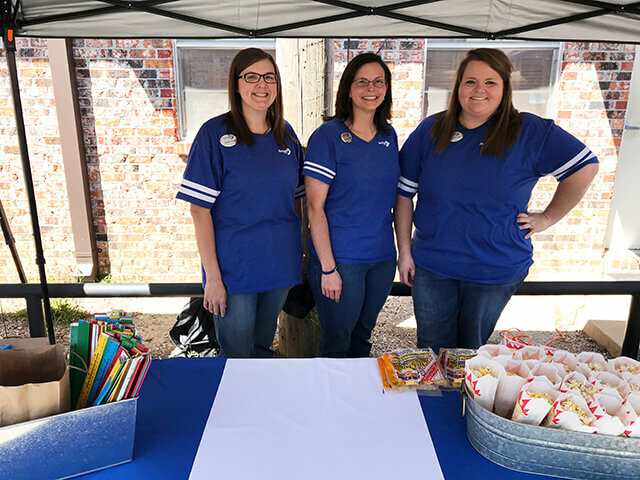 Hayley Stewart, Shannon Phillips and Emily Cooley handed out specialty items at the Wayne County Extension Office’s “Trucks-N-Such” event on March 15. 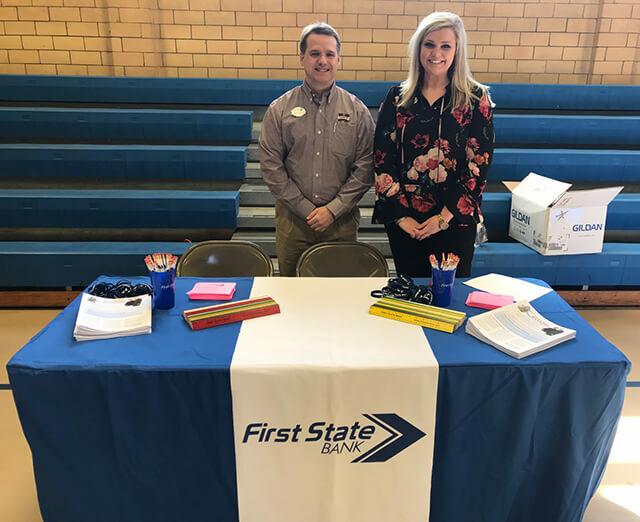 Frank Jadzinski and Heather Owen represented First State Bank today at Quitman Junior High's Career Fair on March 9. 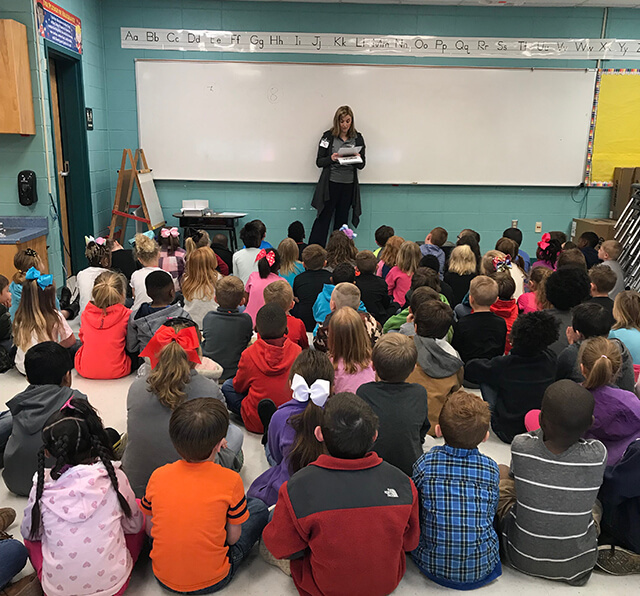 Emily Cooley spoke to the 3rd grade STRETCH students at Buckatunna Elementary about careers in banking on February 28. 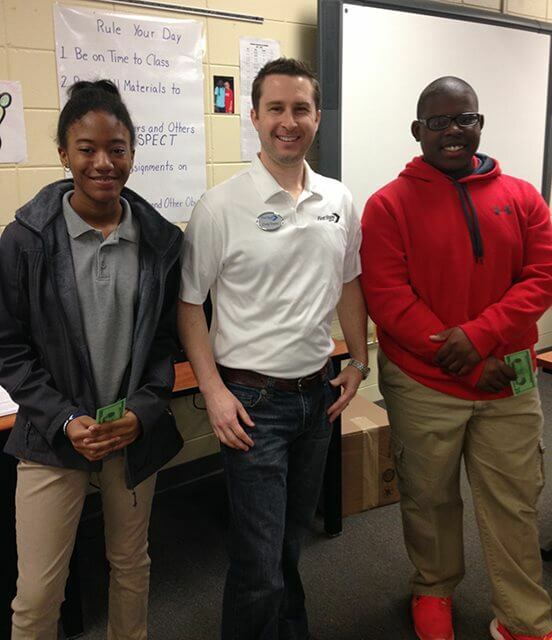 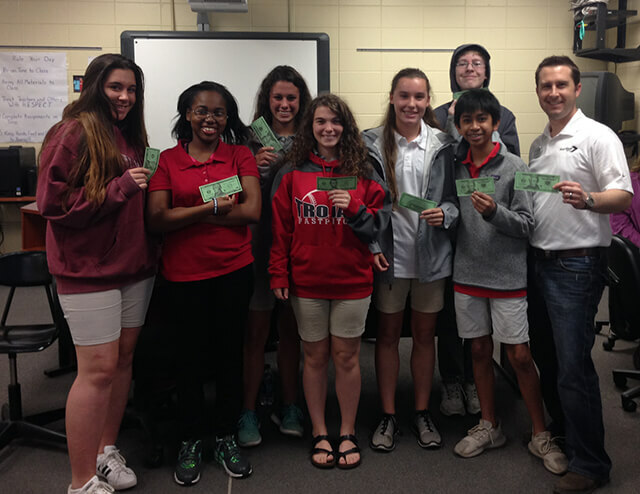 Craig Espey spoke about budgeting to 9th graders at Northeast High School as part of the MBA's Banker in Every Classroom. 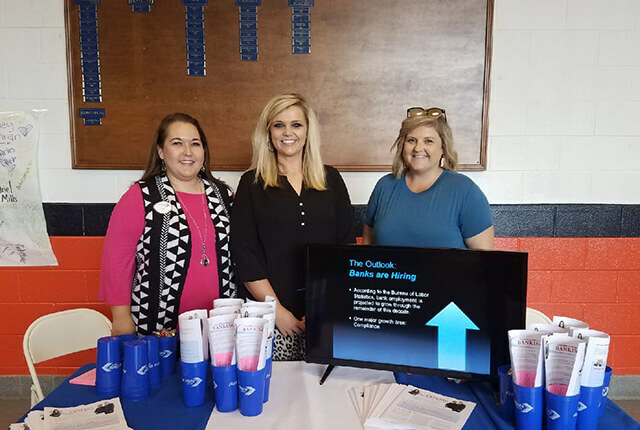 Amy Davis, Heather Owen, and Brittany Clark represented FSB at the Wayne County High School Career Fair on October 10. 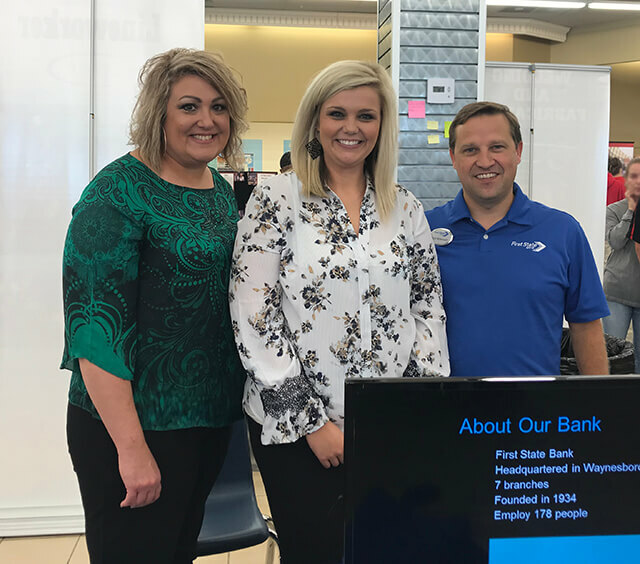 First State Bank helped sponsor a Money Management Seminar in Waynesboro. 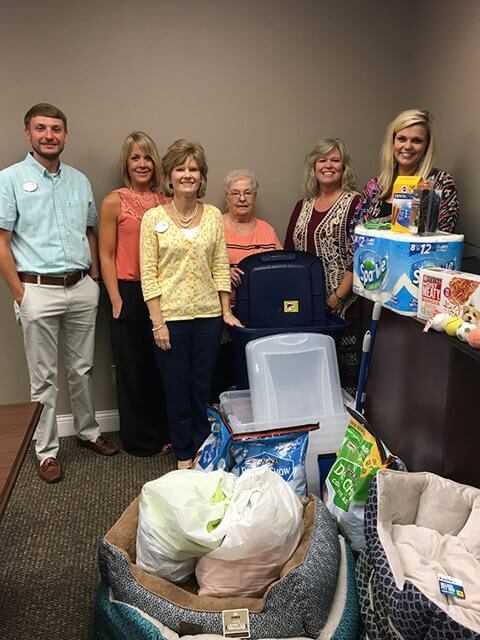 First State Bank employees in Waynesboro donated items to WAR- Waynesboro Animal Rescue! 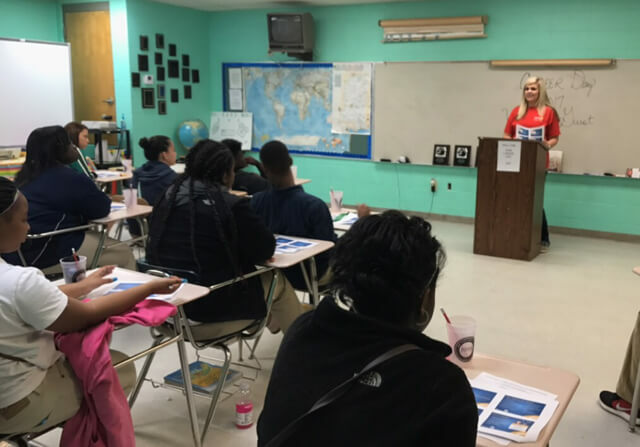 Heather Owen and Christol Cherry spoke to two classes of 8th graders at WMS about careers in banking.